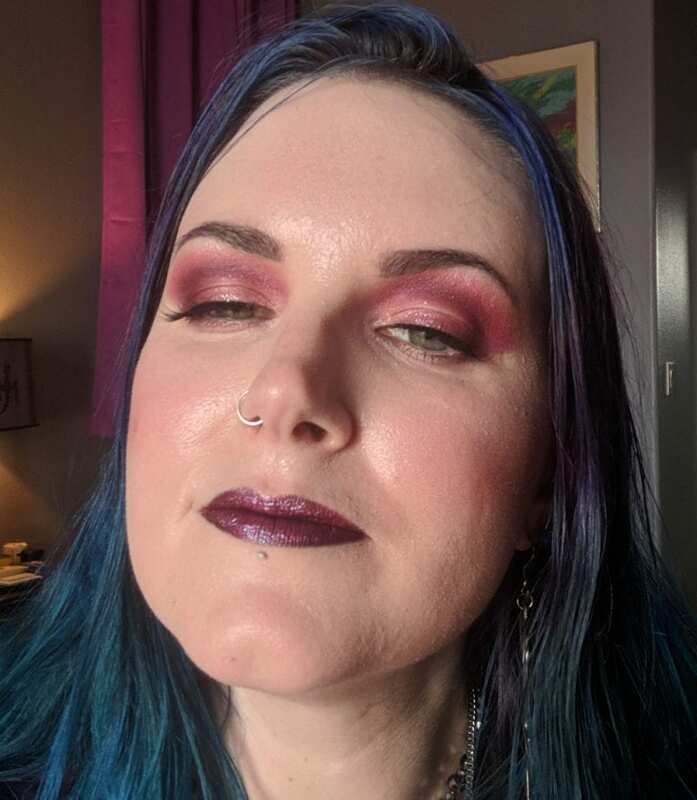 For my August 2018 Gothic Clothing Inspiration Lookbook Video I used the Urban Decay Born to Run palette to create my look. My eyeshadow did not budge all day. This look lasted over 14 hours! Unfortunately I didn’t get any good photos of my makeup up close, so I only have a few to share. To create my eye look I started with Hell Ride and worked that into my crease, outer lower lid and outer lid. I used Wildheart to blend out the edges of Hell Ride. I used the tiniest bit of Weekender to blend out the edges of Wildheart and at the inner lower lid. I put Blaze on my lid and then I layered Stila Monarch highlighter on top of Blaze. I used a bit of Breakaway under my eyebrows. I deepened the outer v with a touch of Jet. It took about four hours to film my gothic clothing inspiration video, most of which was outdoors in 90+ degree heat and high humidity, so I was sweating profusely. 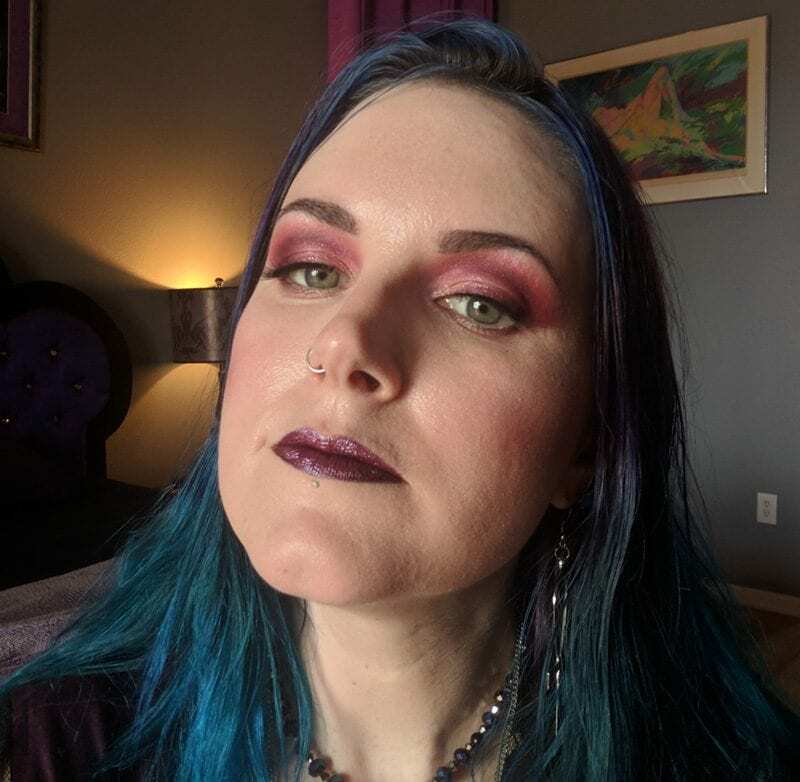 It surprised me that my makeup lasted in the heat! 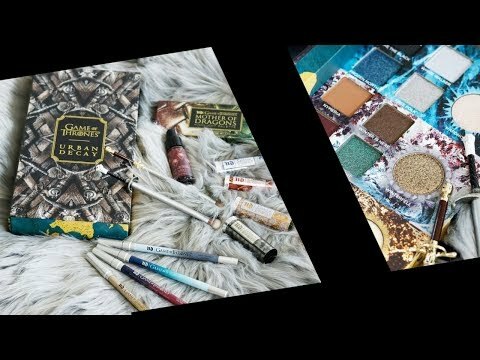 Previous articleWhat’s the Best Affordable Neutral Palette?